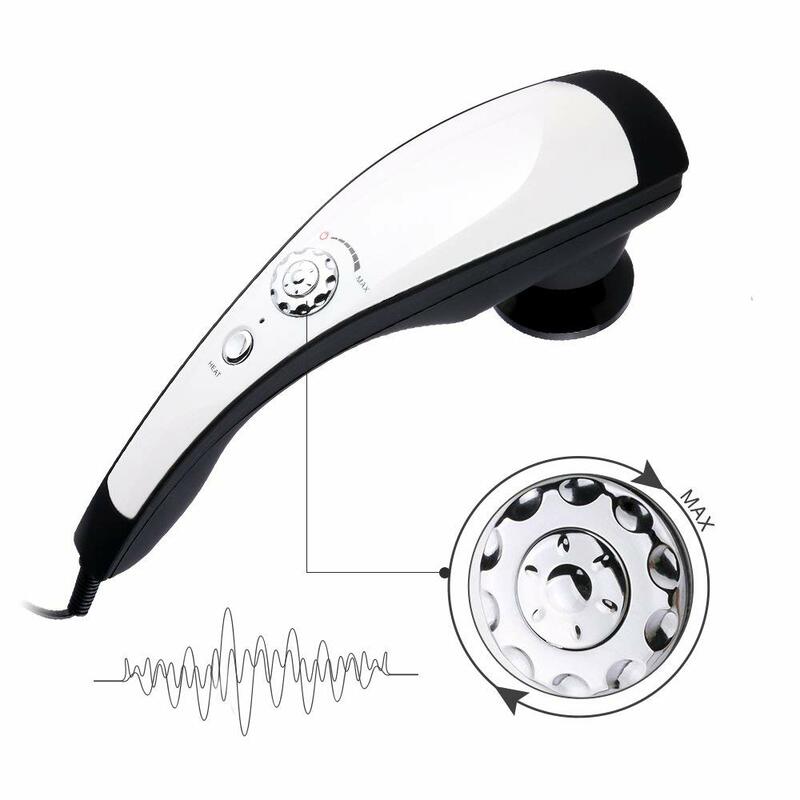 PERCUSSION ACTION MASSAGER WITH HEAT: With just the click of a button it’s easy to start the heat function of this massager. Increasing blood circulation is one of the benefits of this feature. Besides this, it also allows tense muscles to be relaxed and soothed. 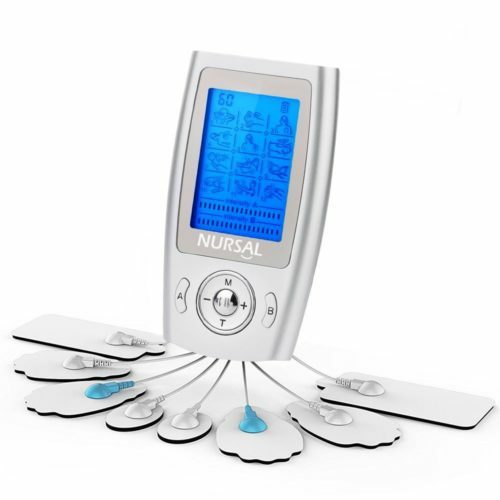 NURSAL portable massager has 6 interchangeable nodes (Scalp massage, Scrape massage, Point Rou massage, Peeling thermal therapy massage, local peeling massage, Kneading massage) for different massage experience. You can use them to massage any part of your body. This is a must buy if you want to own one with heating. It has a heating feature which helps more on having a soothing and relaxing massage for loosening tight muscles. This massager is portable and easy to get to areas such as arms, shoulders, keens, neck, leg, foot and so on. It can be used to promote blood circulation, relieve swelling and pressure. The deep tissue massager for muscle pain relief helps relieve muscle tension, increase flexibility and eliminate fatigue. 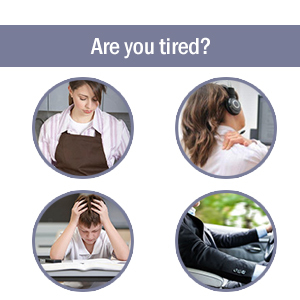 Relieve Pain and Fatigue — Start Now! This massager is a muscle relaxer. It provides a deep tissue massage and you can switch heads for the type of massage you desire. You can use it to loosen those tight muscles on the head, neck, back, forearms, elbows, legs or any other part of your body. It’s powerful and the different heads really can target your aching tendons and fatigued muscles. Do you have any illnesses that cause you discomfort? If so, this massager will help you relieve some of your pain. It can benefit people with conditions such as sciatica, plantar fasciitis, and people with knee or shoulder injuries and so on. 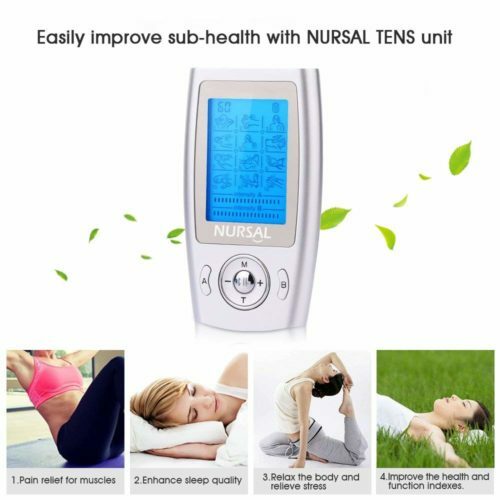 It makes a great purchase for elderly people too, who often experience aches and pains of some sort. The intensity of this massager helps to reduce or eliminate the pain. * Soft rubber hammer design makes for a more comfortable massage. * Infinite speed adjustment function means you can control massage strength. * Long, anti-slip handle, can massage any position on your back. 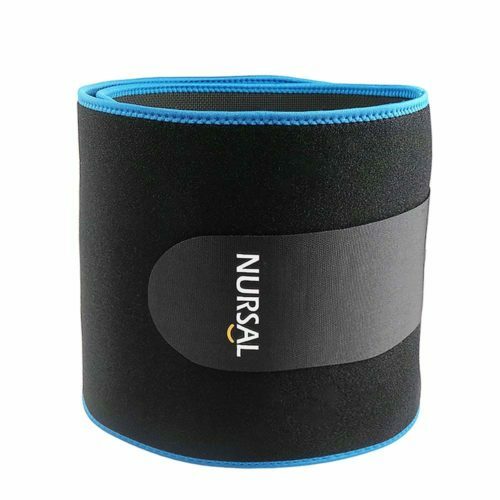 * Relieve swelling, increase muscle flexibility, help relieve muscle tension. * Ergonomic and novel design. 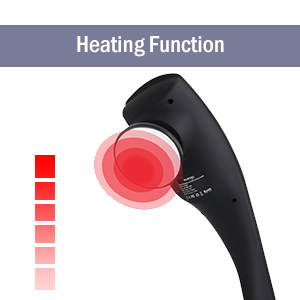 * Heat function provides a soothing feeling on your muscles and will help you relax. 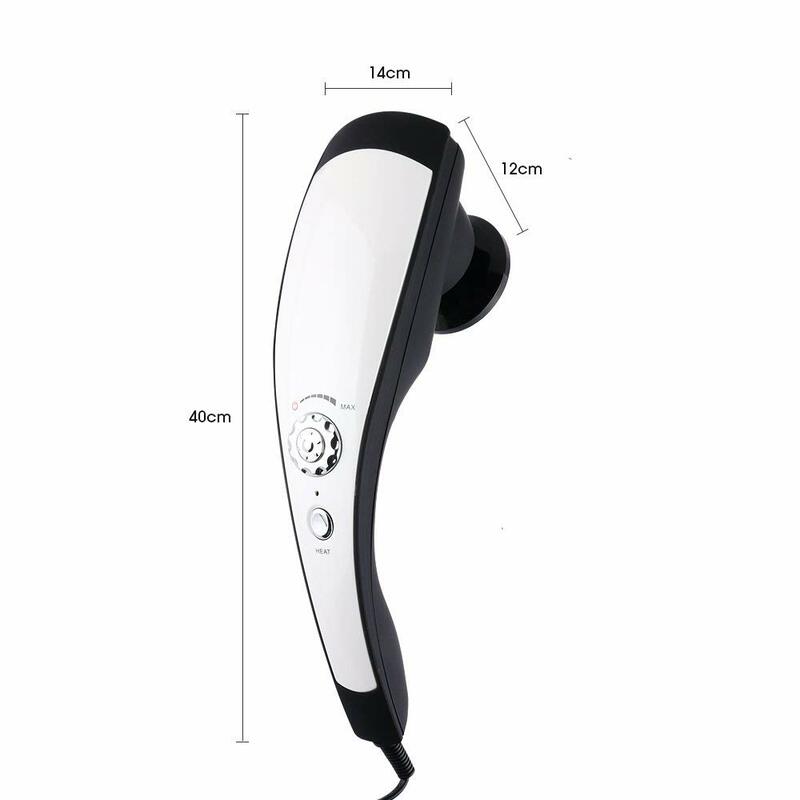 Note regarding the WEIGHT: The weight of this massager is 1.1kg/2.4 lb. 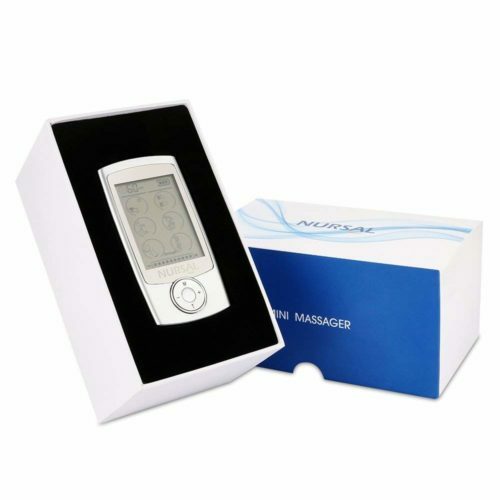 It has been designed to provide a high-quality massage and to be suitable for most people. 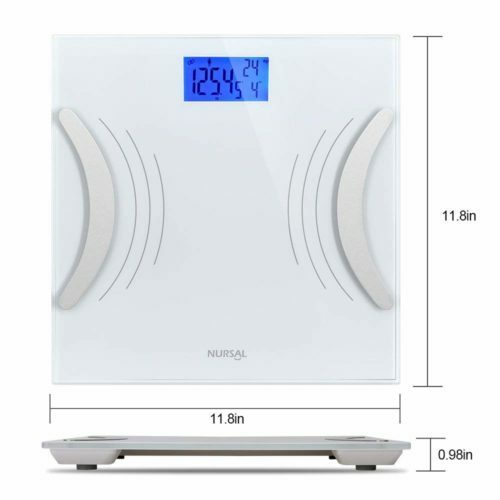 Please consider if this weight is suitable for you before purchase. Question: does this add vibration or just tapping? Question: what is the range of vibration per second (frequency)? Question: How hot does this get? Answer: It’s not extremely hot where it’s burning you. The heat is more of a warm heat. Question: What frequency does this operate on 50 Hz or 60Hz? Question: I’m a big guy (6’5, 280) and the middle and sides of my back get knots -including along the blades. This have the power/weight to be effective 4 me? Answer: I would say yes. For those stubborn knots I use a hard rubber ball on the ground and lie on top of it putting direct pressure on the knot until it “releases.” Someone your size may want to try a baseball or even a softball size ball, but you get the idea. Good luck! Question: How to do heat massage?? Answer: Attach one of the two heat nodes (silver colored) and turn the heat on (push on/off button) – light will come on indicating the heat is on. The node (attachment) will warm up. Question: Can you use this to massage the head? Answer: Yes, but you’d better use it to massage your body, since the stength is strong, and if you use it on head, you need to avoied wrapping your hair in the device. Arrived fast and well packaged. I had a Homedics 2-headed monster that finally had the power cord break from wear n tear. It was heavy and had a strong percussion. I love this one. The dial turns up high enough and the multi heads and lightweight handle it much easier to manipulate than the clunky, old one. You can feel the heat. The different heads do feel like they would be adaptable to anything you’re looking for. Love this product! Used for post op Lipo and BBL. Purchased as a gift for my wife. She enjoys the product very much. 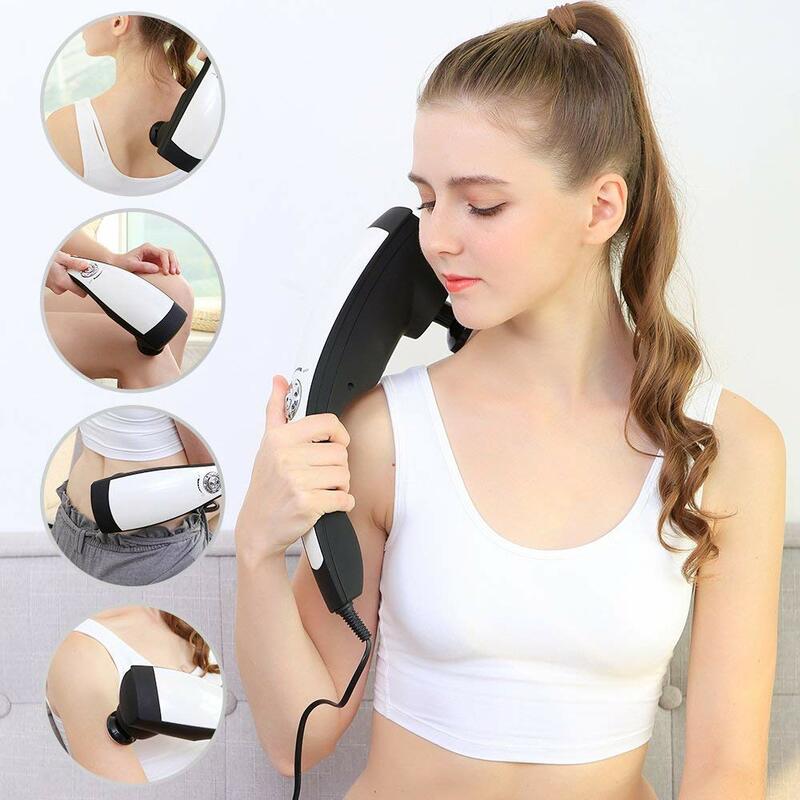 Although sometime difficult to hold, depending on the area of her back or shoulders she is using the device, she is very pleased with the power of the massager. The heat function is also very calming and relaxing on tense muscles. Very good for getting knots out of overworked muscles. It helps my shoulders and backache! 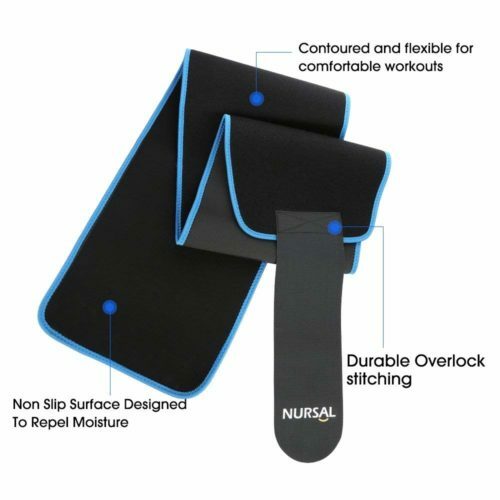 Although it may be a bit heavy, it is a very helpful product that has proven useful in its techniques and does what it says it will do. Good massager just a tad heavy and doesn’t heat much. Easy to use. of interchangeable heads. And price. The attachments, specifically the two for heat, are really effective and helps to work out any knots in your back. 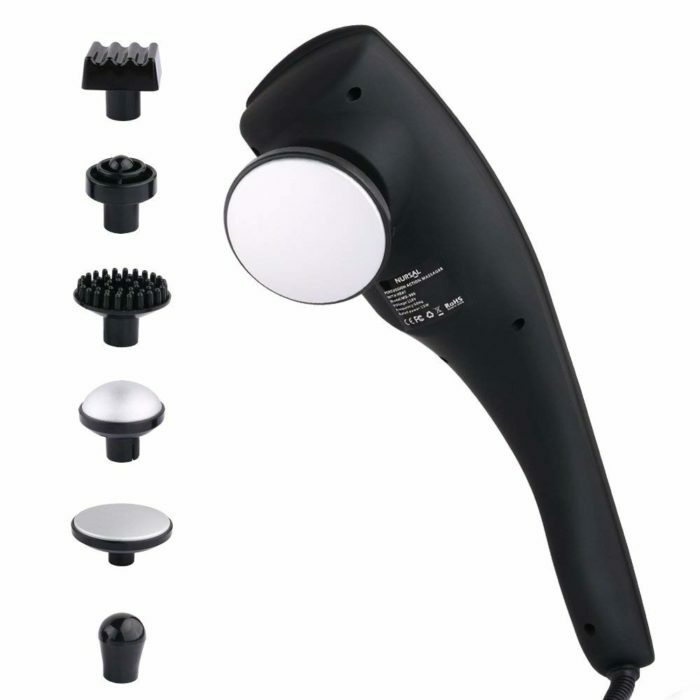 I suffer from frequent headaches and this massager helps to hit those trigger points and give my head some relief. My only complaint is that the scalp massager doesn’t work well in my opinion because the vibration makes the massager bounce against your head, not massage it. Amazing product! Easy to use. Very nice massager. It comes with so many massaging heads. Two of them (the aluminum ones) can heat to about 120 degrees. Very comfortable. The assembly of the massaging heads is super easy. It is a little heavy though. Perfect for soothing away knots! We love the variable speed and the different heads you can use with this. My husband has had two back surgeries and this massager takes out the knots. I will definitely buy this again (but hopefully not very soon as it seems to be very sturdy). It works well but the nodes are kind of hard to get on and off. I go back and forth on whether I like this. I had it on the low setting and it was bouncing all over my spine (ridiculous!) and then my husband suggested I put it on full strength. I thought that would be way too hard, but it quit bouncing. I really like all the different heads you can experiment with and get the one that works the best for the area you need it for. I have a spot in the middle of my back that drives me crazy sometimes and this does get it. Not too fond of using it, but it really does the job. I don’t think the heating aspect works at all. Does a really good job, kinda wish handle wasn’t so curved bc it makes it difficult when using on someone else..
Best massager ever!!! Has a heat button, perfect! Oh my goodness, this thing is strong and can turn you into pudding. A little heavy but keeps on kicking so I’ll put up with it’s weight. Better than buying one for double the price at Brookstone. There are only like two attachments that actually do anything but it’s small enough to take with you traveling and it’s strong enough to get some knots out. It also has a heating function which is good I guess but if I had to buy another one maybe I would get one that has rotating knobs or something because this one only vibrates and basically just digs into one spot. I just purchased the massager this past week and first off, I was really happy with how fast I received it. So far since I received it I have only used the one node, with the heat option. I still have to tweak using it by myself but so far the muscles in my lower back felt a little better after massaging it. I like the Heat on along with the percussion to help with relieving my pain from inflammation. This has helped me relieve so e stress, it helps me to relax. Bought this one because my previous one died after 9 years. This one works ‘ok’, wish it was more powerful. No where near as stronng as my old one. It was very effective on muscle cramps. Works good for pressure points on the body but if you are looking for a really deep massage this does not have that kind of power. Read many different product reviews before settling with this one and I am glad I did. Appears to be good quality and the low setting is gentle enough to use on my dog. Cons: heat takes a couple minutes or more to heat up which seems long in my opinion and the handle is curved to make it easier to massage yourself which is sometimes inconvenient when massaging another person. So I bought a big band named one of these in the store for my birthday and it was crappy, I ended up returning it. I bought this and its AMAZING! I am so glad I bought this! The different types of tops are amazing too. So worth it. This seems to REALLY HELP WITH PLANTAR FICITIS!! I work as a secretary so I spend lots of time sitting. My hubby works outside lifting and bending. We BOTH have back pain frequently. I have tried many things, but THIS product is a win!! I am so happy that I found this item! The heating massage attachment is the favorite. This has a great motor and massages deep. It has a large handle so it can easily be used on yourself, but it is a little bulky when using on someone else. We seriously use this at least every other night! HIGHLY RECOMMEND THIS! Love this massager. It’s great to massage those really sore areas. I had to return this product, as it didn’t end up being what I was looking for. It’s a little too heavy for me, and because it is sort off curved, that didn’t work for my purposes. BUT……….it works great. Nice vibrations, lots of different ends to put on. The product is great, but I was looking for a lighter product and a straight product. So had to return it. I did find what I was looking for, for $80 more $$$. 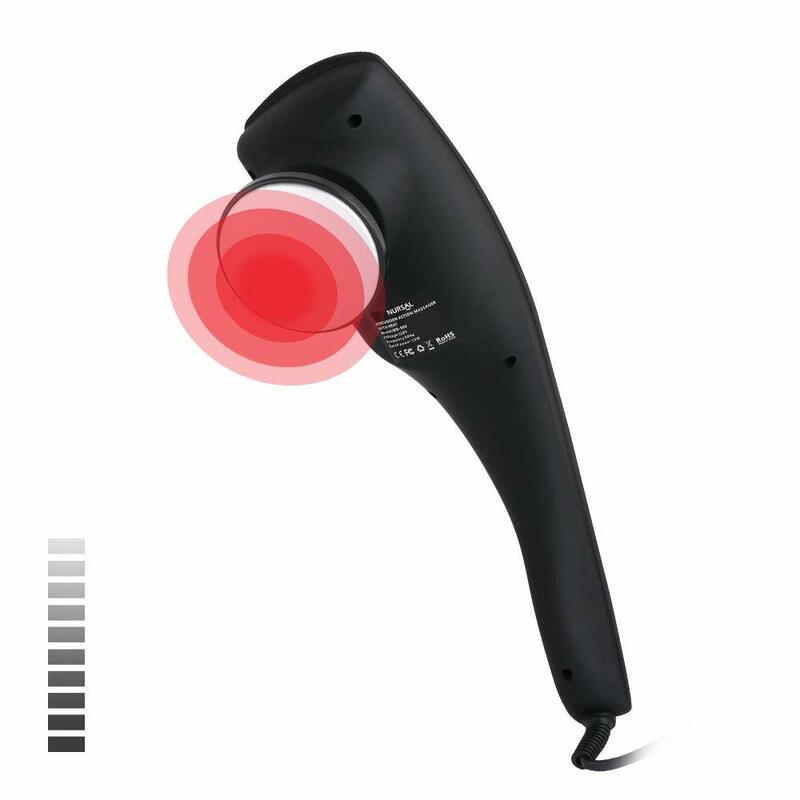 Very light HoMedics product that also has infra-red. 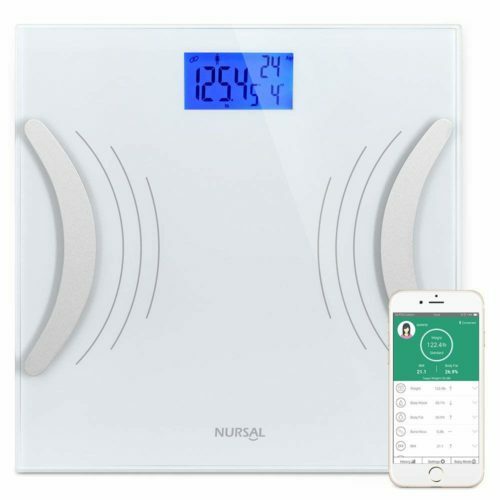 I didn’t want to give this less than 4 stars, as I think the product is good, just wish it had a little more description on weight and the curve. Very nice massager with heat. Works wonders! Powerful, 6 interchangeable heads, and warming feature. As someone with a bad back I need a good massager. 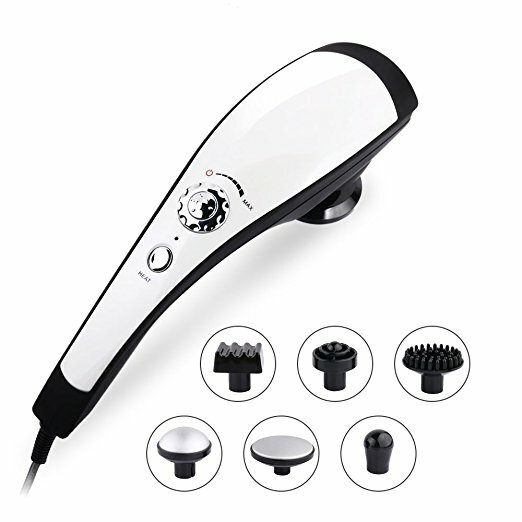 I’ve tried several different types and several different brands of massager. So far this is my favorite. It’s the most effective at getting rid of knots and other back pain. But the great thing is that it helps with other areas. 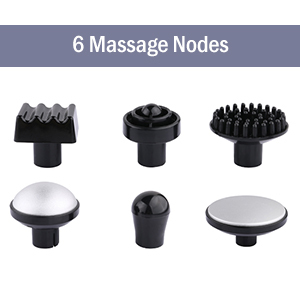 With the 6 interchangeable nodes (Scalp massage, Scrape massage, Point Rou massage, Peeling thermal therapy massage, local peeling massage, Kneading massage) I am able to use it on other problem areas. It’s helped reduce my headaches and also helps with my feet. One of the things that sets this massager apart from others is the heat option. 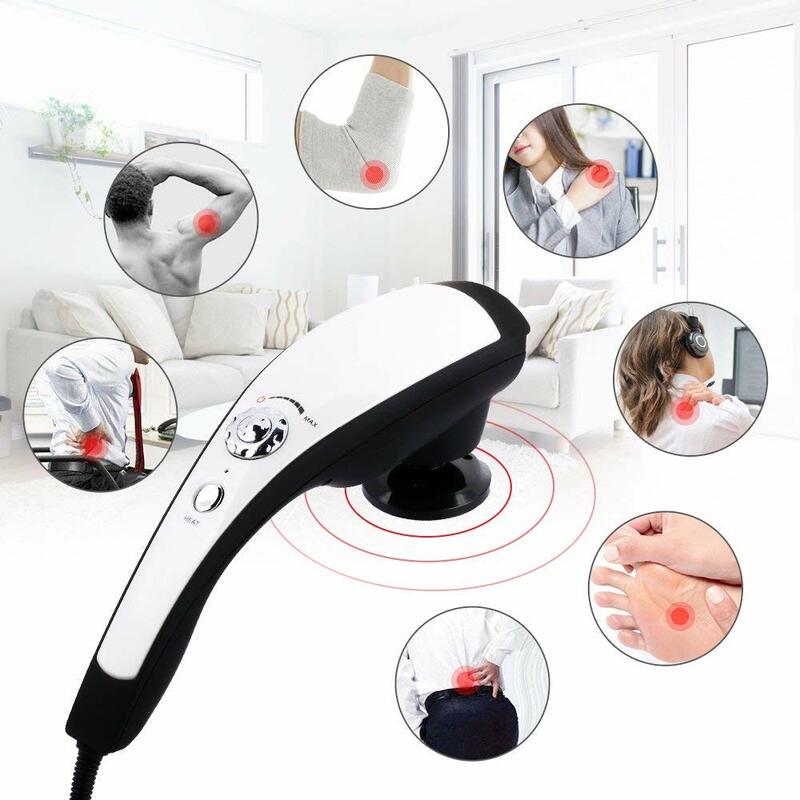 It takes a few minutes for the warmth to really be warm but it’s really helpful when coupled with the strength of this massager. I highly recommend this massager. It’s powerful enough to get all your knots out. I bought myself this as a Birthday Present and I’m so obsessed! It works so well. I have so many knots in my back and shoulders and this massager really works them out without leaving me sore after like a traditional massage does.